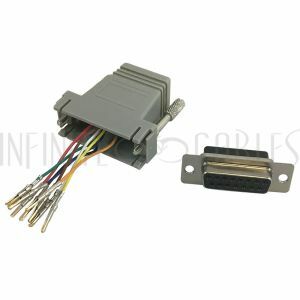 This modular adapter has a DB15 female connector on one end and a RJ45 female connector on the other. It converts a DB15 RS232, RS422 and RS485 serial port to an RJ45 connection. This adapter comes unpinned for custom pin out configuration.